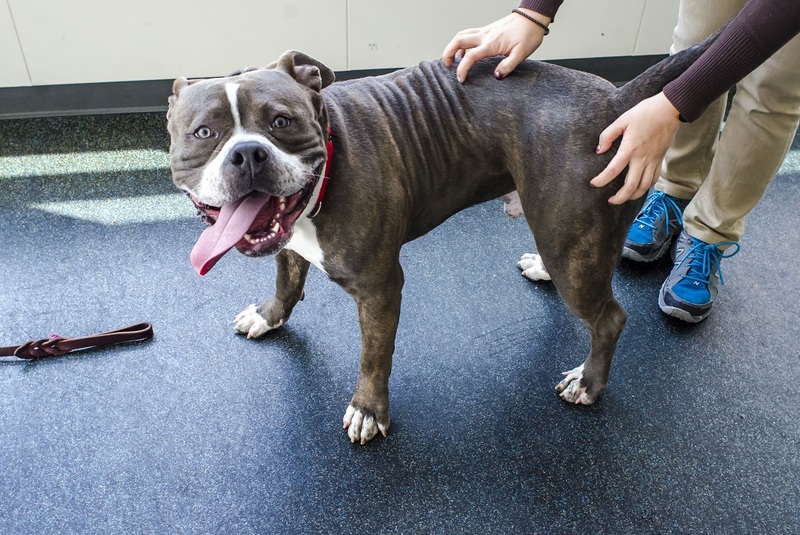 Once a victim of cruelty, sweet Greyson was rescued by the NYPD and brought to the ASPCA Animal Hospital during the spring of 2014. Despite this pup’s sad history, Greyson never lost his spirit: The team at the hospital quickly noticed how social and sweet the three-year-old American Bulldog was. He was playful, loving and trusting— relentlessly hopeful like so many rescued animals are. So needless to say, it wasn’t long before Greyson and his big goofy grin caught the eye of the perfect adopters, Angela W. and her partner Ciprian, whose lives would soon be forever changed. Although Ciprian had experience with rescue dogs in the past, it was Angela’s first time adopting. “It was my first dog and I wanted it to be special. I didn’t want a dog that was too big or too small. I wanted a dog that had character and a great personality. A dog that did not look like anything I had ever seen before. A dog to call my own.” Then, everything changed when she first saw Greyson’s photo on the ASPCA website. She knew she had found the one they’d been searching for. 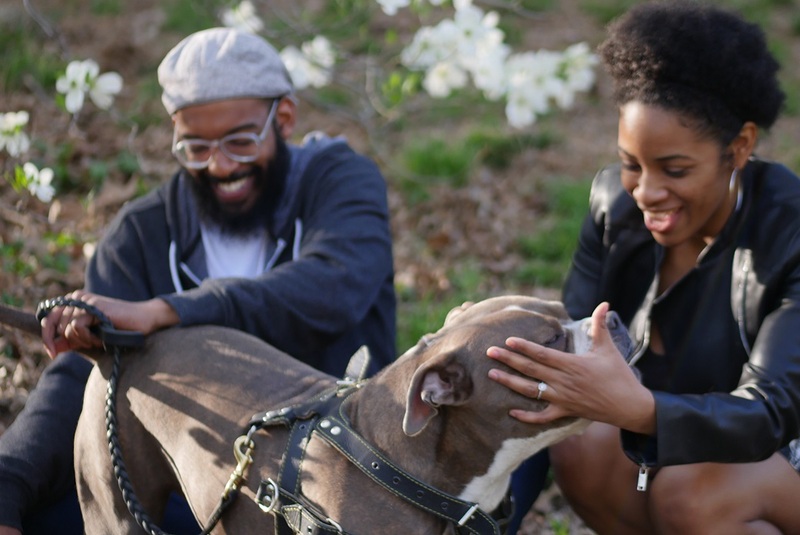 Angela’s intuition proved to be spot on, and when the couple first met the lovable dog in person at the ASPCA Adoption Center, it only further solidified Angela’s confidence in her choice. “Greyson jumped on me and it was love at first sight. It was as if he knew that he was going to be adopted that day,” she says. Rocco does have some new favorite pastimes though; he enjoys lounging around on the couch, taking long walks in Central Park and enjoying as much of the city life as he can. Rocco has become somewhat of a “Canine Columbus” of New York. “He has been all over the city, and has even been to Brooklyn and the Bronx. 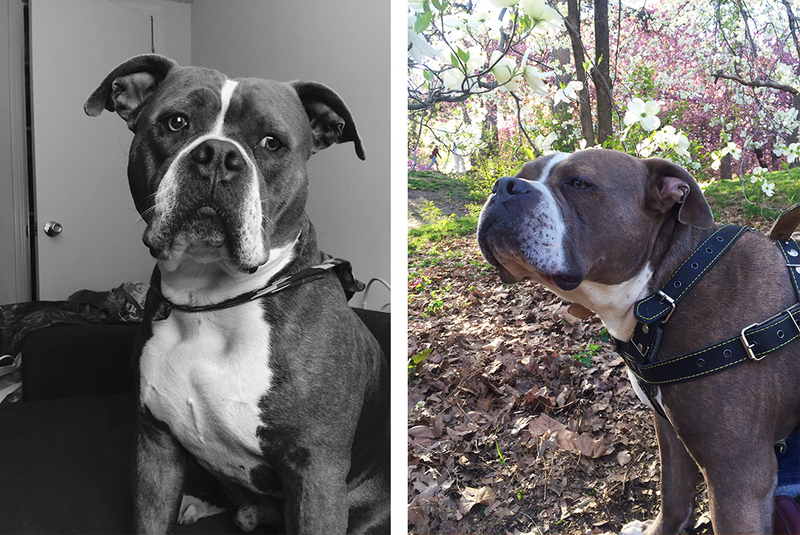 One day, Rocco hopes to continue his adventures by exploring Queens and Staten Island,” boasts Angela about her adventurous pup. 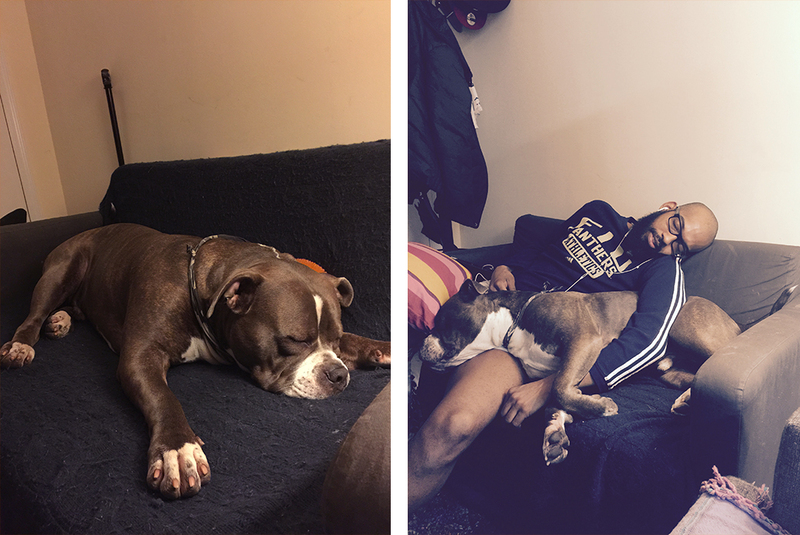 Angela and Ciprian recently celebrated their second anniversary as pet parents with Rocco, whom they affectionately call their son. They could not imagine their lives without him, and have expressed the impact the sweet dog has had on them. Rocco’s “Happy Tail” is inspiring to say the least. Like Rocco, many dogs face the harsh reality of cruelty and neglect. Fortunately, you can inspire a “Happy Tail” of your own by adopting a shelter animal today.